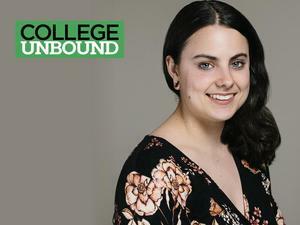 “COLLEGE UNBOUND MADE MY PASSION COME TRUE. “I USED TO WORK AS A MAINTENANCE TECH AT AN ART COLLEGE. 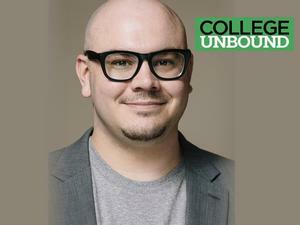 “I LEARNED HOW TO UNLEARN AND QUESTION AS A PRACTICE, LEADING TO PERSONAL SUCCESS. George developed Rally for Recovery to give a voice to people in recovery and show the public and those currently in recovery that recovery is possible. Joyce Aboutaan on fighting to provide undocumented workers with an education in the new political era. Chris Suchmann on working with his family, what he's learned from being at College Unbound, and developing a creative space for everyone!